At Wilde, EVERY new Chrysler Jeep Dodge Ram and SRT vehicle is equipped with a 5-year / 60,000 mile Powertrain Warranty, a 3-year / 36,000 mile Bumper to Bumper Warranty and 5-year / Unlimited-Mileage Roadside Assistance. Wilde is your one-stop shop for new Chrysler, Jeep, Dodge Ram and SRT sales, used and certified pre-owned vehicle sales, service and parts in Southeastern Wisconsin. We are fully-stocked with hundreds of cars, trucks, mini-vans and SUVs for every budget. CALL our knowledgeable staff at 262-544-5400, learn more about us and VIEW OUR ENTIRE INVENTORY online at www.wildedodge.com or VISIT us in person, conveniently located at 1710 Hwy 164 in Waukesha, WI. We look forward to serving you!. It is the policy of this dealership that prices are plus tax, tag, title, and Dealer Service Fee of $219.00 (which fees represent cost and profits to the dealer for items such as cleaning, inspecting, adjusting vehicles and preparing documents related to the sale, plus any dealer installed accessories). All prices, specifications and availability subject to change without notice. Contact dealer for most current information. Dealer not responsible for misprints, omissions or typographical errors.While great effort is made to ensure the accuracy of the information on this site, errors do occur so please verify information with a customer service rep. This is easily done by calling us at 262-278-0769 or by visiting us at the dealership. 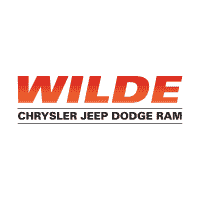 Wilde Chrysler Jeep Dodge Ram	43.0241457, -88.2021633.